With a stay at this apartment, you'll be centrally located in Marseille, within a 10-minute drive of Vieux Port and Le Dome. This apartment is 2.4 mi (3.9 km) from Marseille Provence Cruise Terminal and 4.2 mi (6.8 km) from Calanques National Park. 55 yards (50 m) from the Marseilles TGV train station, the ibis Marseille Centre Gare Saint Charles hotel offers quiet, comfortable, air-conditioned rooms, perfect for business or leisure. The hotel's exceptional location is just a 10 min walk from the downtown area. The hotel offers direct train and shuttle access to the airport and reduced rates for the train station car park. Costa and MSC shuttles are available from the front of the hotel for cruise departures. You're in the heart of Marseilles! With a stay at Alex Hotel in Marseille (1st Arrondissement), you'll be a 4-minute drive from Vieux Port and 9 minutes from Museum of European and Mediterranean Civilisations. This spa hotel is 2.3 mi (3.7 km) from Marseille Provence Cruise Terminal and 3.8 mi (6 km) from Calanques National Park. 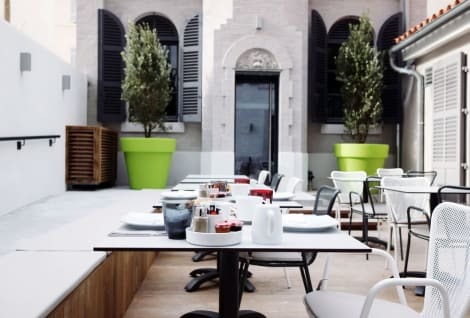 A city centre hotel opposite Marseille Saint Charles station, with free WiFi, private parking and breakfast included Holiday Inn Express® Marseille – Saint Charles hotel is only 15 minutes’ walk from the Vieux-Port. Facing Marseille’s main transport hub, the hotel offers easy access to metro and bus services, as well as local and TGV trains. Marseille Provence Airport (MRS) is a 25-minute drive away, accessible by public shuttle. The hotel is also within easy reach of port cruise ship terminals. Two metro stops away, the business district in La Joliette is home to key local companies such as Société Générale and BNP Paribas. Nearby, the gleaming Les Terrasses du Port shopping centre overlooks the waterfront, a short walk from the iconic MuCEM history museum at the port entrance. At this hotel you can enjoy: - A continental Express Start Breakfast buffet included in the room rate - Free WiFi throughout - Private parking for a fee - A Business Centre with 2 computers and a printer Modern, air-conditioned rooms – some with views of the sea or Notre Dame de la Garde Basilica – offer a choice of pillows to help you sleep. Bar Le Mistral is the place to relax, and on sunny days you can enjoy a glass of wine at a terrace table. You can host up to 35 people in the hotel’s 2 naturally lit meeting rooms. Offering a home-away-from-home in the heart of the city, the contemporary Staycity Aparthotels Marseille is within walking distance of the Colbert Hotel de Region metro station. For your convenience the aparthotel offers free wi-fi and a 24-hour reception service, as well as a fitness room. 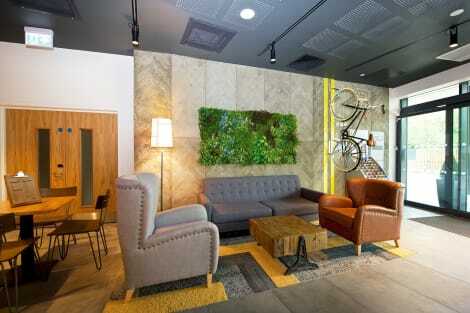 The Staycity Aparthotels Marseille accommodations include studios and 1 bedroom apartments, each furnished with kitchen facilities and air conditioning. 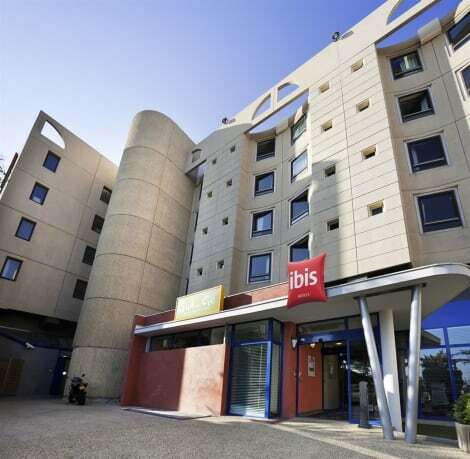 Ibis Marseille Centre Vieux Port is centrally located in Marseille, a 5-minute walk from Centre Bourse and 5 minutes by foot from Jardin des Vestiges. This hotel is 0.6 mi (0.9 km) from Marseille History Museum and 1 mi (1.5 km) from Cathedral la Major.